We think there are certainly pros and cons to technology, how much we use our phones and how much time we spend on various platforms. But what we do love about it is how you can get exposed to new and interesting people from around the world. We came across @_saltwatertherapy_ which is the Instragram account of Australian photographer Ned Curtis. Ned shares our love of water but also our passion for travel and exploration. We were excited to hear more about how he is pursuing his passion and traveling the world. Read on to learn about this Salty Soul and yes sure to check out his website, you can purchase his photos online! Q: .We connected because we have fallen in love with your instagram feed and those amazing photos you post. Where are you from and how did you start Saltwater Therapy? 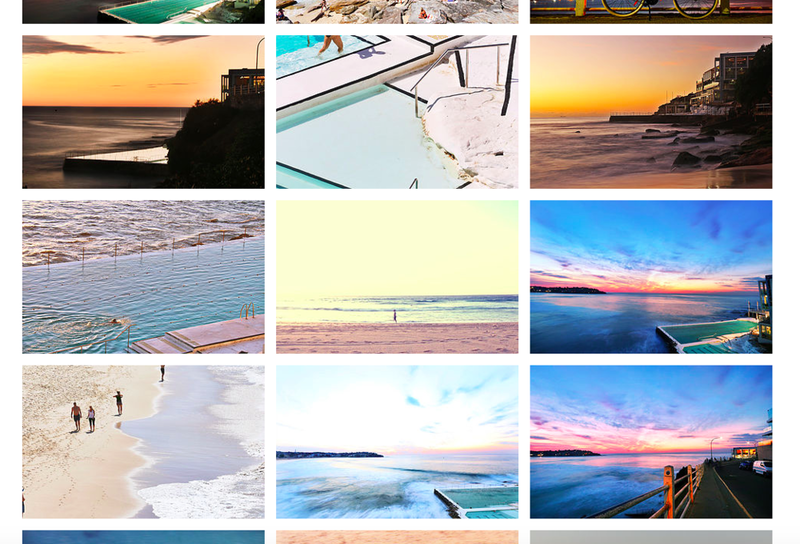 A: I am from Sydney, Australia and i started Saltwater Therapy out of my passion for photography and my love for the ocean. I have grown up surfing and swimming in the ocean almost every day so it is a special place for me. Q: We love to travel, and from your website it looks like you have been all over! How often do you travel and what was your favorite trip ever? Traveling is one of my favorite things to do and something i recommend to everyone i meet. In fact as i am writing this now i am on the Spanish Island of Mallorca and about to board a flight to explore the South of France. My favourite place of all time would have to be the Hawaii. The untouched wilderness of some areas of Hawaii are so beautiful, i am hoping to be back over there soon. Q: Is this your full time job? Seems like you are living out your dream, how did you make it happen? A: Currently traveling and photography is my full time job. I sell my photos as framed prints and can run the whole business digitally including worldwide shipping. Q: What do you love about your work and what do you think sets it apart? There are two things that i love about my work. Firstly is where it takes you. i have found myself in Europe currently with a few months in Sri Lanka scheduled next. Always being on the move and exploring new countries means that you are always exposed to new destinations to take photographs at. Secondly is that is encourages you to be creative and to push your personal limits. Q: Outside of photography, what do you love to do? When i am not taking photos of the beach and surfers, i am usually surfing myself! Q: What is your biggest piece of advice for others to go live out their dreams? Biggest piece of advice to give others wanting to live out their dreams is a simple one, and that is to take the step and back yourself. If you don't try something, you will never know the results. A glimpse of some of the amazing photos you can find on Ned's site!